Beyoncé & JAY-Z dressed up as Lil' Kim and Notorious B.I.G. for Halloween, and it turns out Bey's outfit was actually a five-part extravaganza of looks paying tribute to the rapper. The singer wore five different costumes in Lil' Kim's likeness and shared pictures of each iconic one on her website Friday (Nov. 3). Among Beyonce's Lil' Kim costumes: her outfit from 1997's "The Rain" music video, her No Way Out Tour look from 1997, her bold choice on the red carpet of the 1999 Source Hip Hop Music Awards and two editorial spreads, from Today's Black Woman and Manhattan File magazines. "Hip hop would not be the same without our original Queen B," Beyonce's website reads. 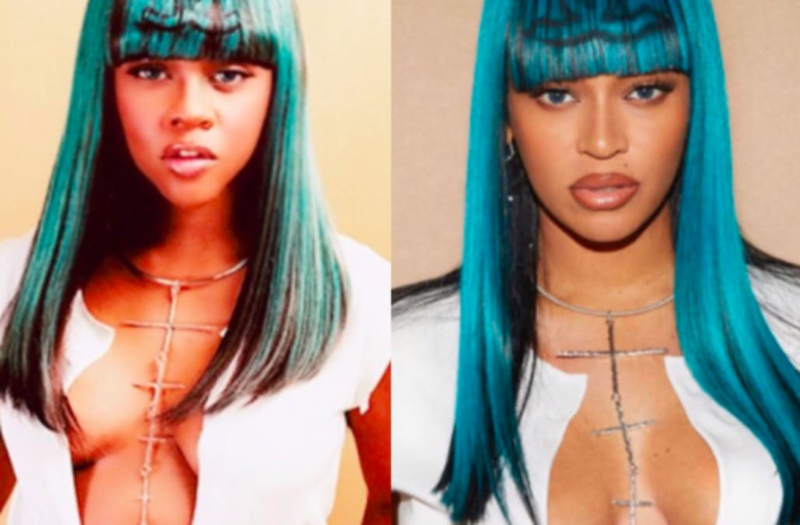 Beyoncé's Lil' Kim Halloween costume: All 5 looks!